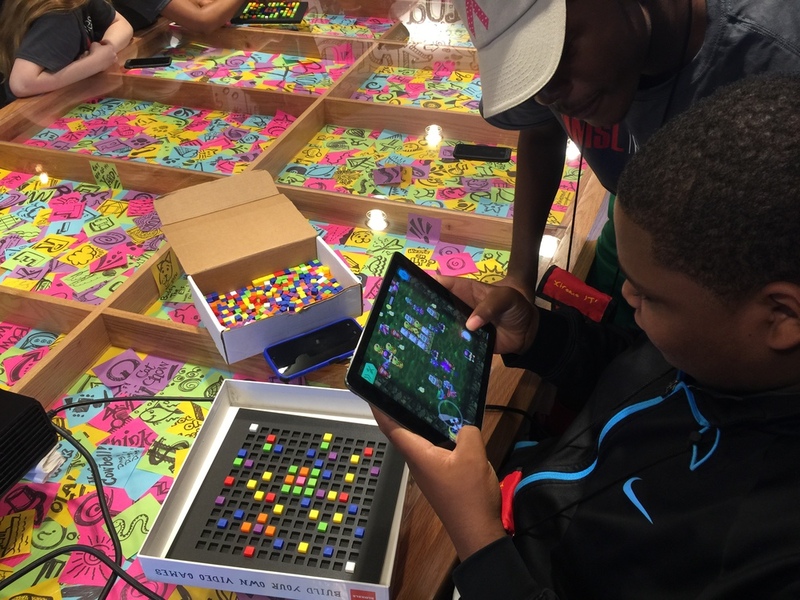 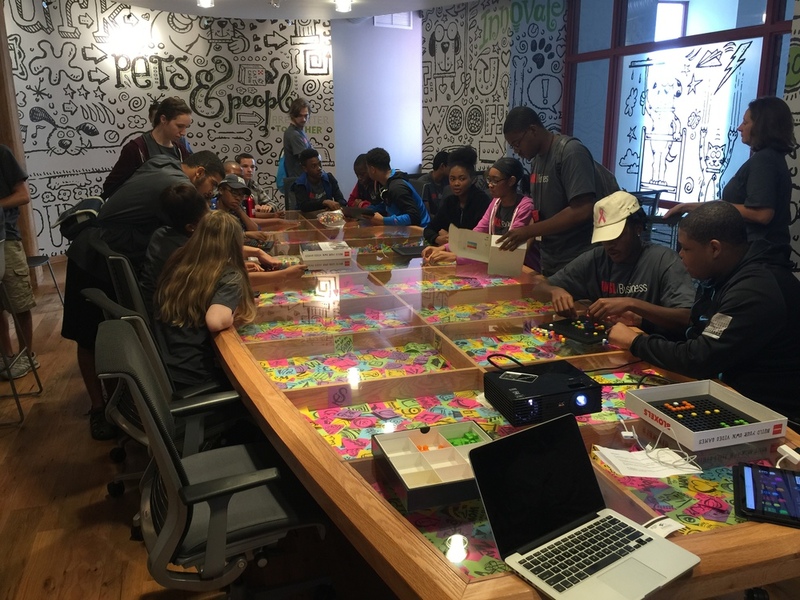 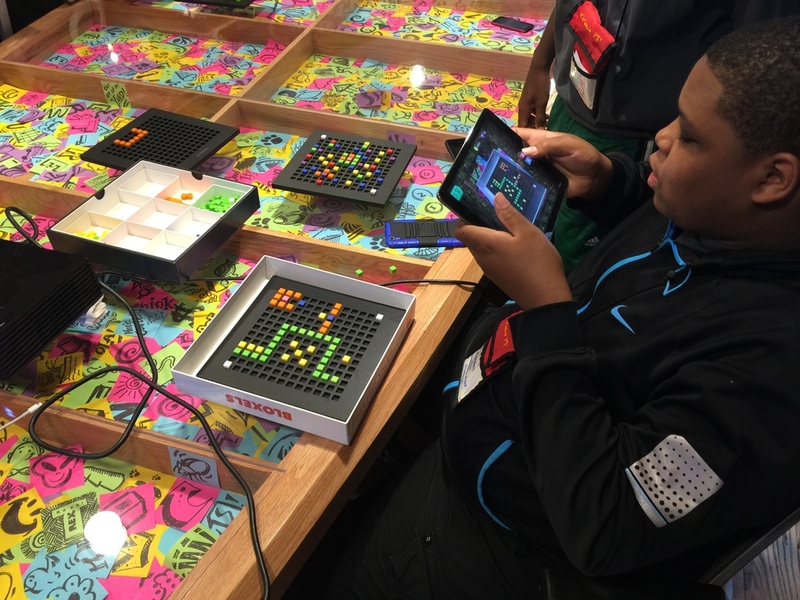 Today Josh and Robin had the chance to introduce 26 high school juniors and seniors to the Bloxels video game building system. 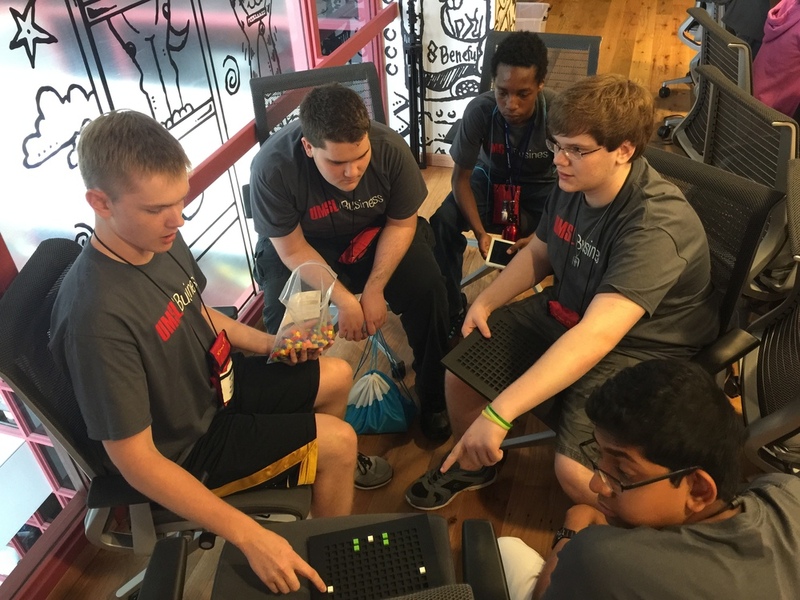 The students spent 30 minutes learning about Bloxels and then broke in to teams to come up with ideas for a game to make. 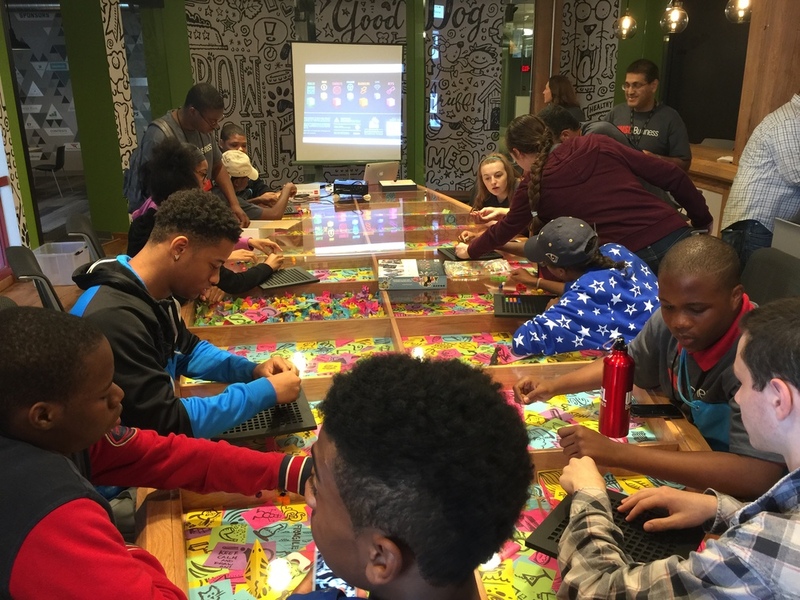 Students also answered questions like who would work on what, what ages the game would target, and where they would market the game. 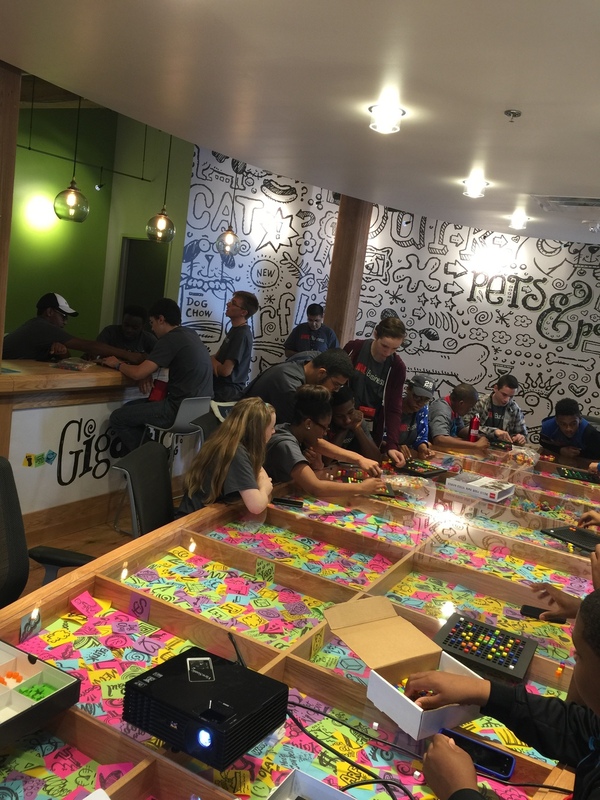 Nice work all, and a big thanks to the University of Missouri Saint Louis, Downtown T-REX for sharing their beautiful space, and Bryan Garcia with iTen for setting this all up. 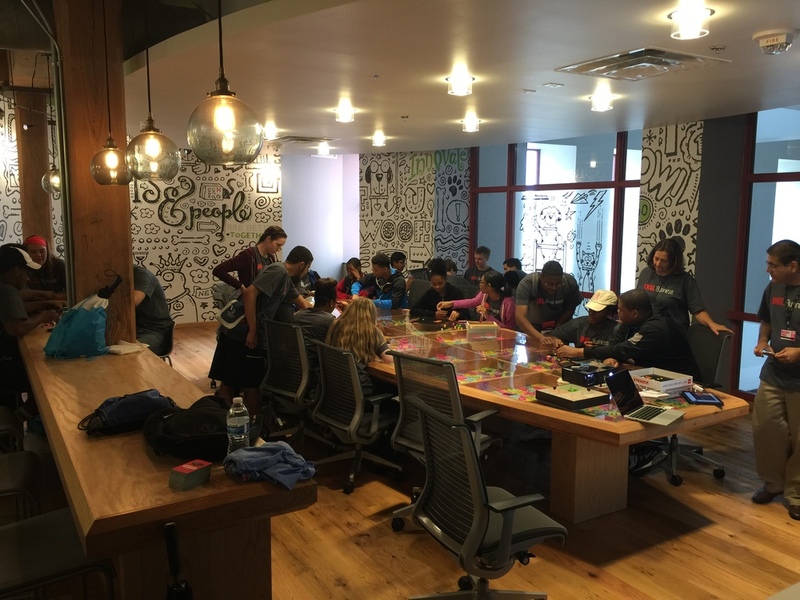 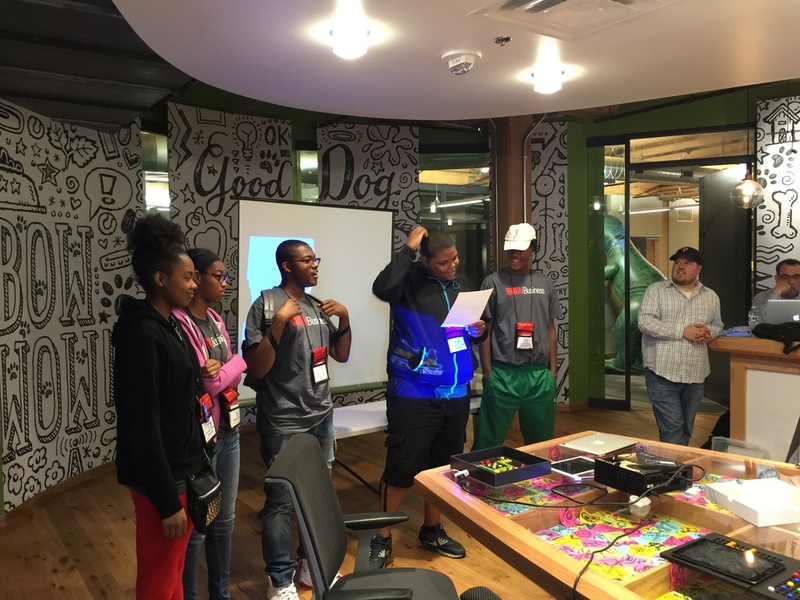 These students are participating in a week long program called Xtreme IT where they are learning about information techonlogy alongside companies throughout St. Louis.